Our second video for litigants in person, or anyone who would like to know more about the family court process, is all about the basics of divorce. From an overview of how divorces are processed to some basic terms used, this video offers a simple introduction to the key stages and jargon used. Next week’s video will offer an introduction into care orders and the care process. We made it – we finally recorded our first proper video for our LIP Service series. 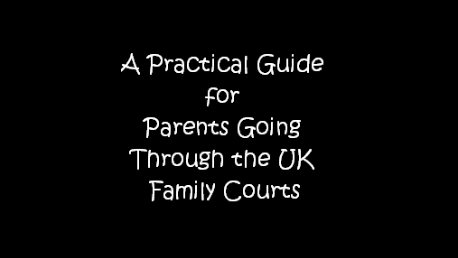 If you can forgive the waving hands and the random strand of hair which gradually makes its way towards the camera during the video, what you have left is a video offering some essential resources for families going through the courts. We’ve been thinking about providing a service which allows parents and children to get all the help they need, for a long time. We started with our divorce manual, which was a basic look at the system and then moved on to our Encyclopaedia on Family Law which whilst still active, we realised, was not enough. We came up with LIP (Litigants In Person) Service: a Youtube channel filled with short videos on how to find information, build your case and navigate the court process. It won’t matter if you’re very new to the world of the family courts, because everything is explained in simple English and without the legal mumbo jumbo (and if we have to add it, we’ll break it down into every day speak for you). Who are the video “How To’s” for? LIP Service is for everyone. It’s for parents going through divorce, for families experiencing local authority intervention and it is especially for children. We know the legal aid cuts and the cost of representation are making it almost impossible to get the help you need and so we thought we would offer you a way of empowering your family, by giving you the best tools to make your way through the system, so you’re as prepared as you can be. And many of the tools we’ll share with you, are free. Won’t this upset the legal profession? Not the intelligent folks. Smart lawyers know that sharing knowledge and acquiring a skill are two very different things. Learning to become a lawyer takes years, and is not something most parents are interested in doing. Knowledge, though, is for everyone. We don’t tolerate neurotic information retention, and neither should you. Data Packs are added to every post we write for each video. They will include links to helpful websites and support groups, as well as organisations who we think are excellent and provide a good service, whether it’s signposting, support or something else super groovy. Can we see the videos? Our very first one is at the bottom of this post. It introduces the LIP service project and gives you a taste of what we’re going to be covering. We’re always very happy to receive feedback and suggestions for videos, so don’t be shy, we’re listening. We really hope LIP service is helpful in some way; good luck…..